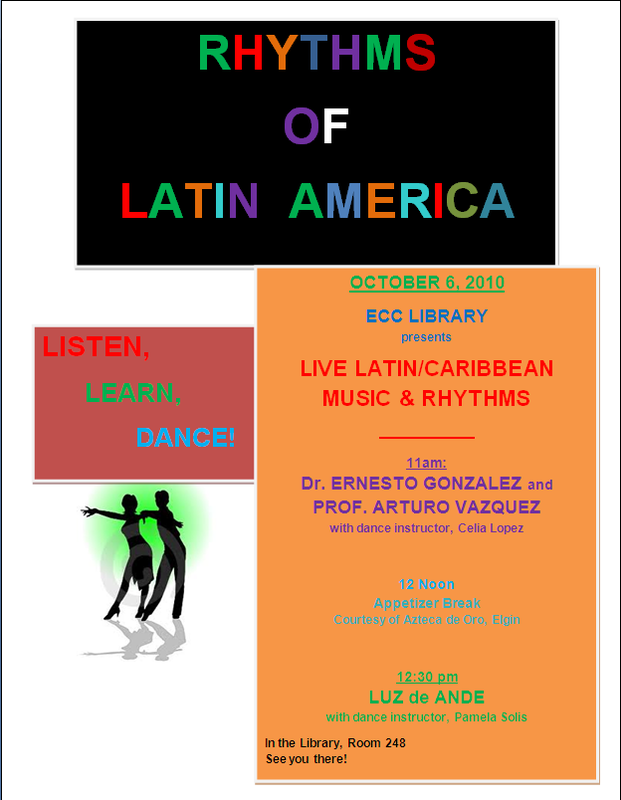 Join ECC Library for a celebration of Latino heritage, music, and dancing! Oct. 6, 2010 at 11:00am. Featured guests include Dr. Ernesto Gonzalez and Prof. Arturo Vazquez with dance instructor Celia Lopez, as well as Luz de Ande with dance instructor Pamela Solis. Light refreshments will be provided. This entry was posted in Announcement, Event and tagged Community, dancing, ecc library, Latino heritage, Library Event, music. Bookmark the permalink.